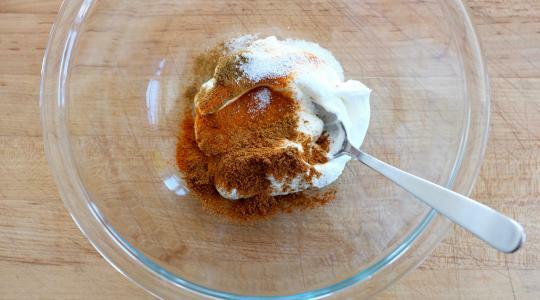 In a medium bowl, stir together the yogurt, garam masala, cumin, cayenne, and ½ teaspoon of the salt. Cut the chicken into 1-inch pieces. Add to the yogurt mixture and stir to coat. Cover and refrigerate overnight (or for at least 8 hours). Heat the oven to 350°F. 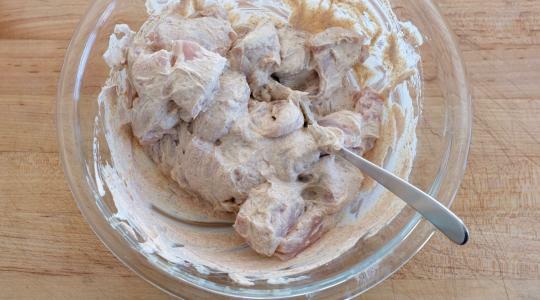 Put the chicken into a baking dish and spread into a single layer. Roast for about 25 minutes, or until cooked through. 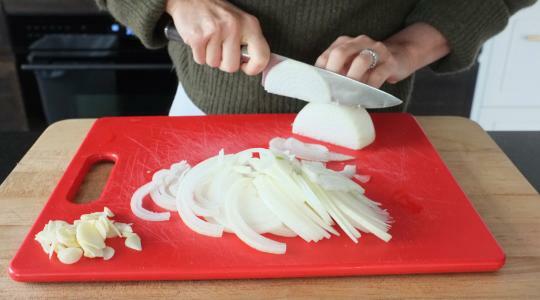 Meanwhile, thinly slice the onion, grate the ginger, and smash the garlic. 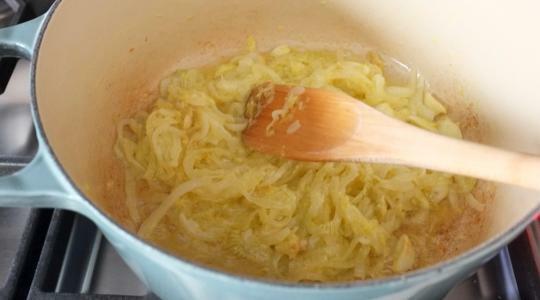 In a large saucepan, heat the butter and oil over medium-high heat. Add the onion and ¼ teaspoon of the salt. Cook, stirring occasionally, for 5 minutes. Stir in the garlic and ginger, reduce the heat to medium, and cook 5 to 6 minutes more, stirring often, until tender and beginning to brown. 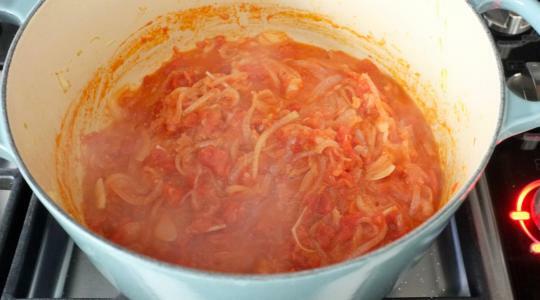 Add the tomatoes and 1 cup of water and cook, covered, for 15 to 20 minutes, or until the onions are very, very tender. Season with the remaining ¾ teaspoon salt. 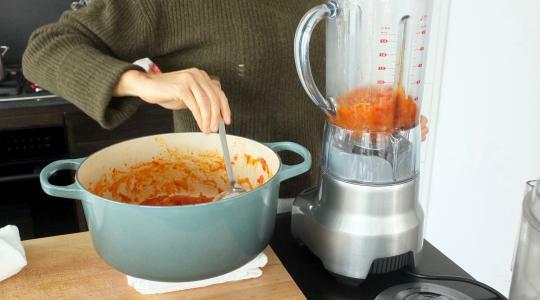 Using a handheld blender or regular blender, purée until creamy and smooth. If it’s a little thick, add a little more water. 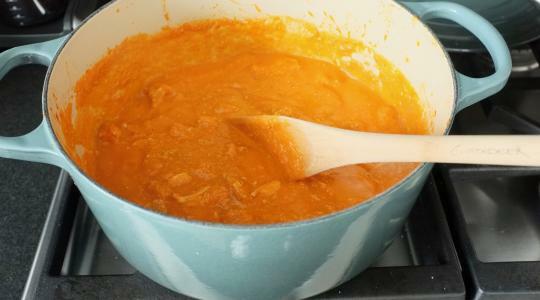 Add the chicken and any juices in the baking dish to the sauce. Stir well to combine. Let simmer gently until ready to serve. Divide the chicken and sauce among bowls. 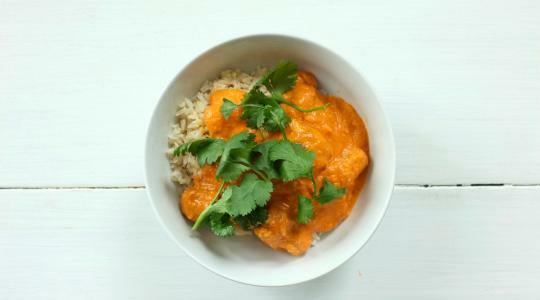 Top with the brown rice and cilantro.